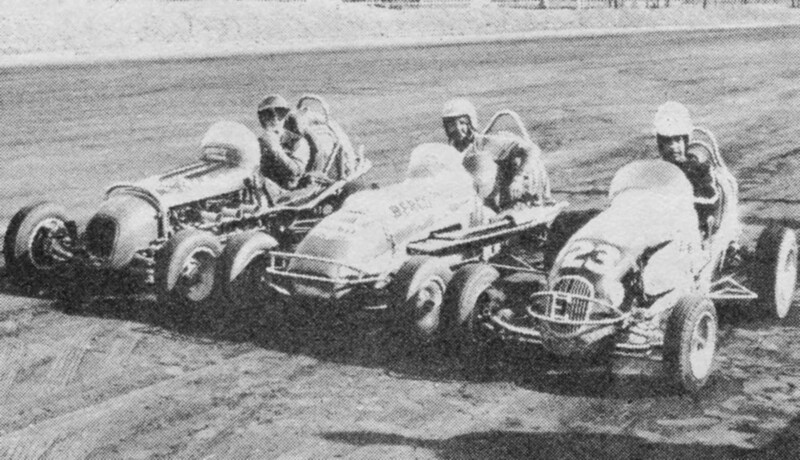 Arthur Park Speedway or Acacia Ridge as it was also known as was the realization of a long term plan of Frank Arthur to build a one mile speedway circuit in Queensland. 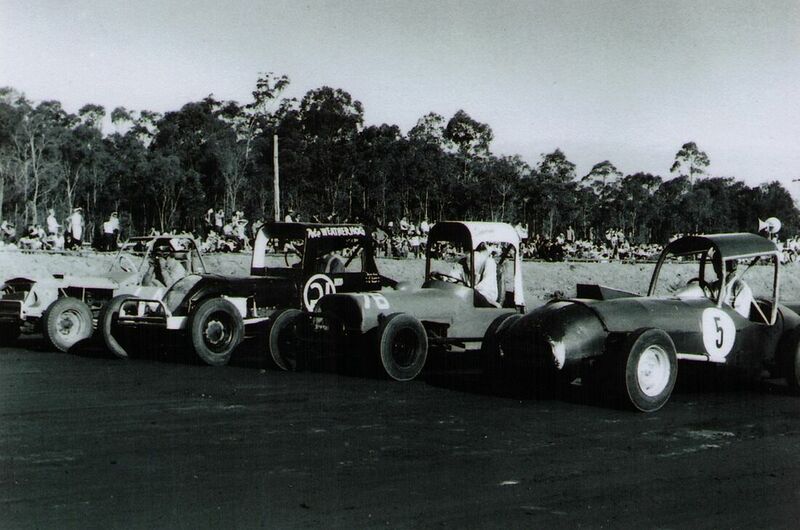 The one mile oiled dirt short circuit oval was situated on fifty seven acres of land at Acacia Ridge, the track was one hundred foot wide which made it possible for a six wide grid on the starts. 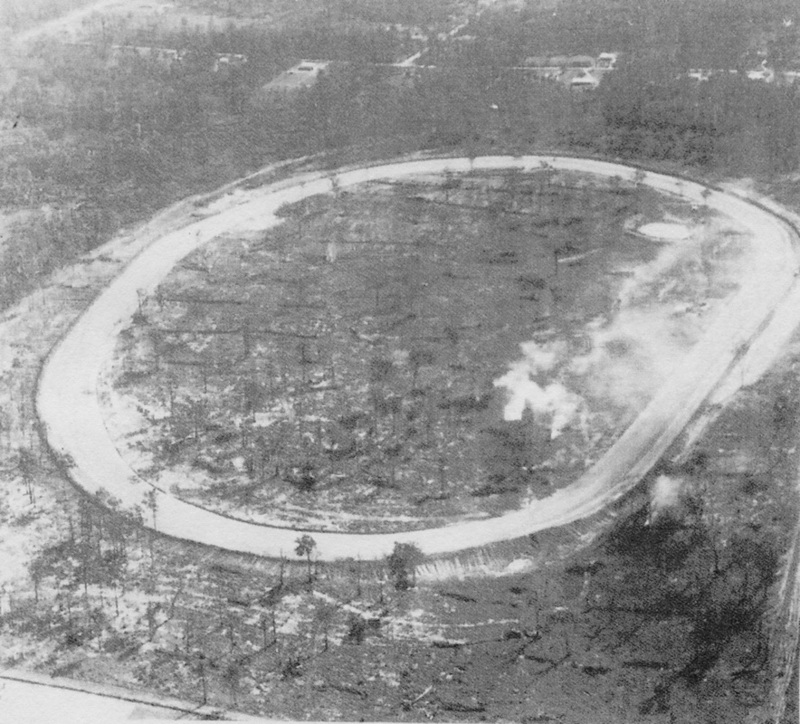 The speedway officially opened on the 19th of September 1965, Solo motorcycles headlined the opening meeting but there life was very short lived, it was deemed the track did not suit the bikes and only one more solo meeting was ever held. 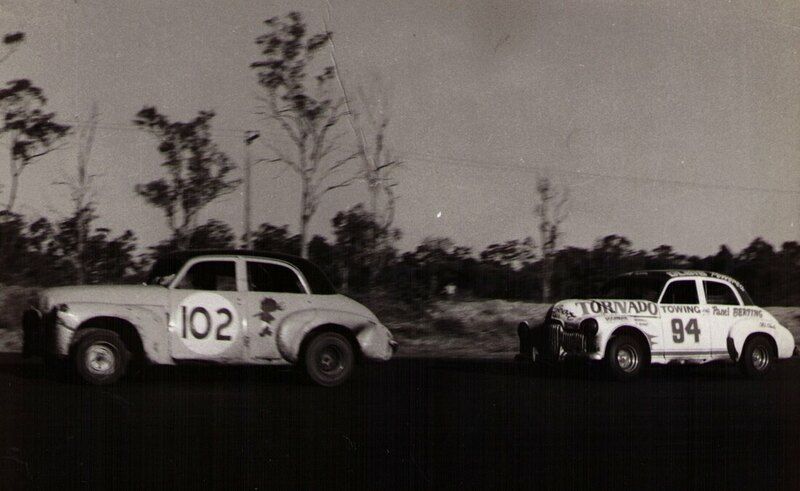 two notable riders on the big circuit were brothers Bob and Ray Sharpe. 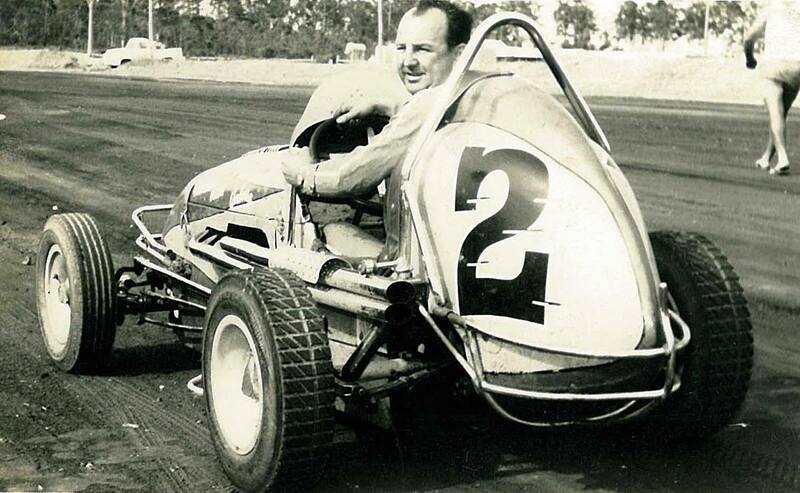 The circuit was very fast, in fact it is recorded that speedcar great Len Brock reached speeds of 130mph around the track in his Berco Holden speedcar. 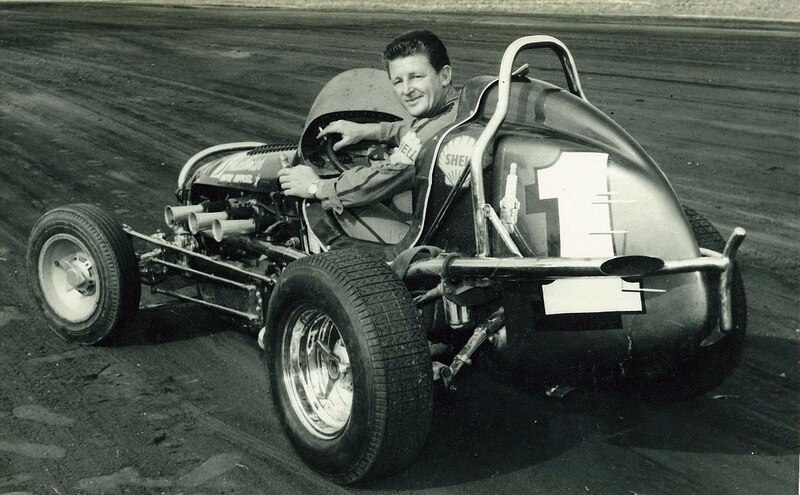 1965 - Jack White on his number 14 Eso powered machine that he broke the 100mph barrier. Photo: Chris Murphy. 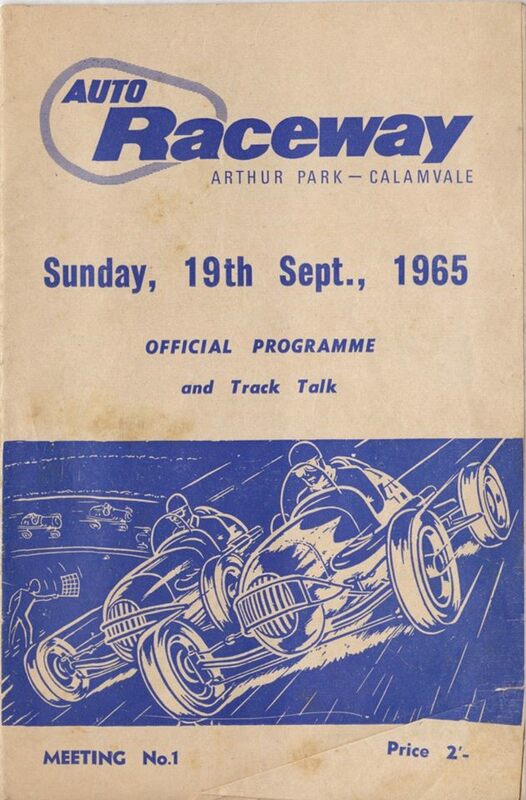 The venue was very popular attracting speedway and road cars to its meetings, The sheer speed of the track led to problems with accidents, Barry Harrison was one driver that hit another stationary car and was knocked out, his car carried on over the embankment and running over two spectators that had made there way into a restricted area, the end result being both drivers and spectators were taken to hospital. 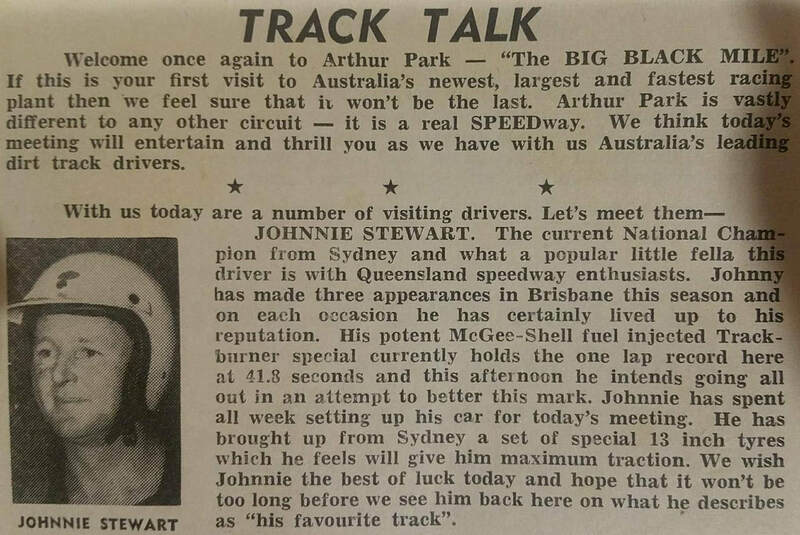 Arthur Park only ran a small number of meetings and eventualy closed. 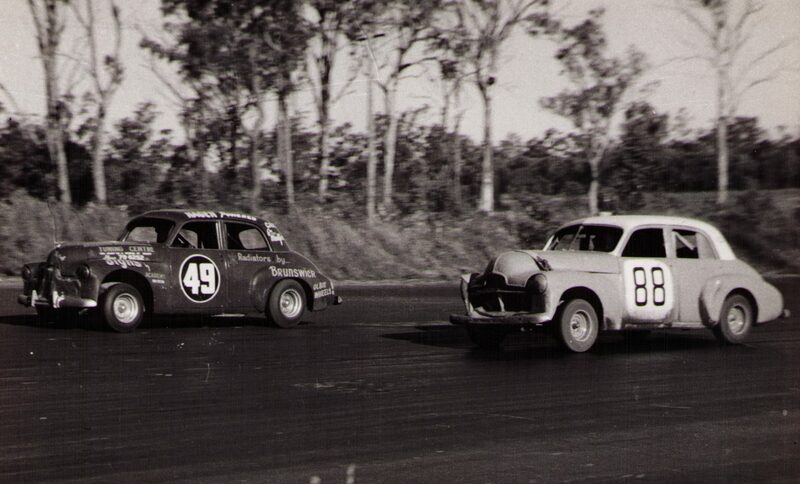 Johnny Stewart - Len Brock - Barry Valentinne at Acacia Ridge Speedway Photo: unknown.